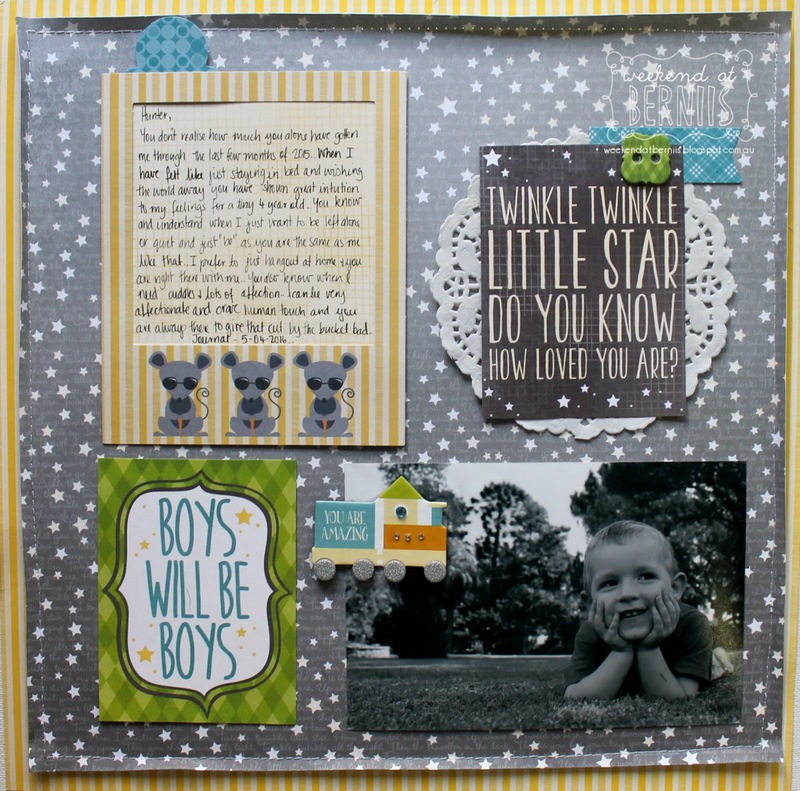 The BoBunny Blog: 1 Layout 3 Ways! Welcome BoBunny fans to another 1 layout 3 ways feature, Bernii here with you to share with you my take. Today I wanted to share with you a layout I created with the new Toy Box collection. 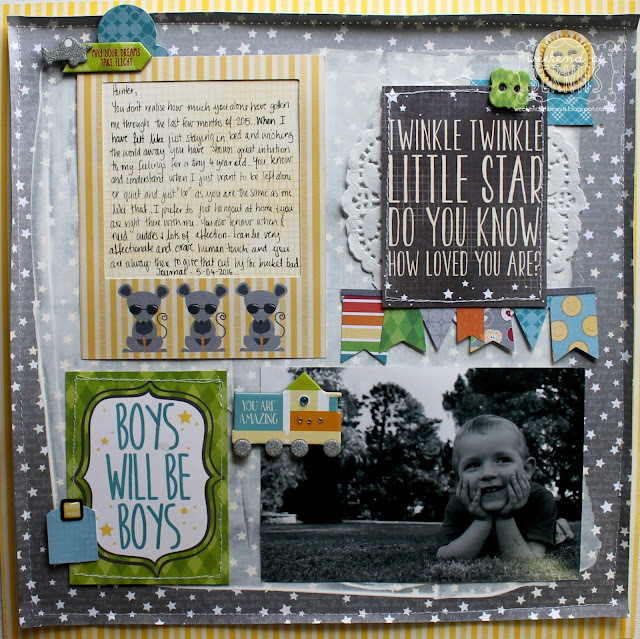 For the first step of the layout I kept it fairly basic following a grid style pattern. It is nice a simplistic and can most certainly be called done and tucked away safely into my album. Then to the second layout I added only a few extra elements to help add a little more interest and make it a little bit more me. Firstly I added the new BoBunny white Gesso to the back ground, added some extra stitching to the 3x4 cards, sprinkled on more brads and added a banner under on the of the 3 x 4 cards. And lastly to create the final layout I added a few final touches. Red twine to the buttons and bottom left hand 3 x 4 card, extra blue paper to layer between the layout and background, I "roughed" up all the edges , glitter paste circles and hearts and added a few more buttons. I hope that I have inspired you today to play along with your Toy Box collection . 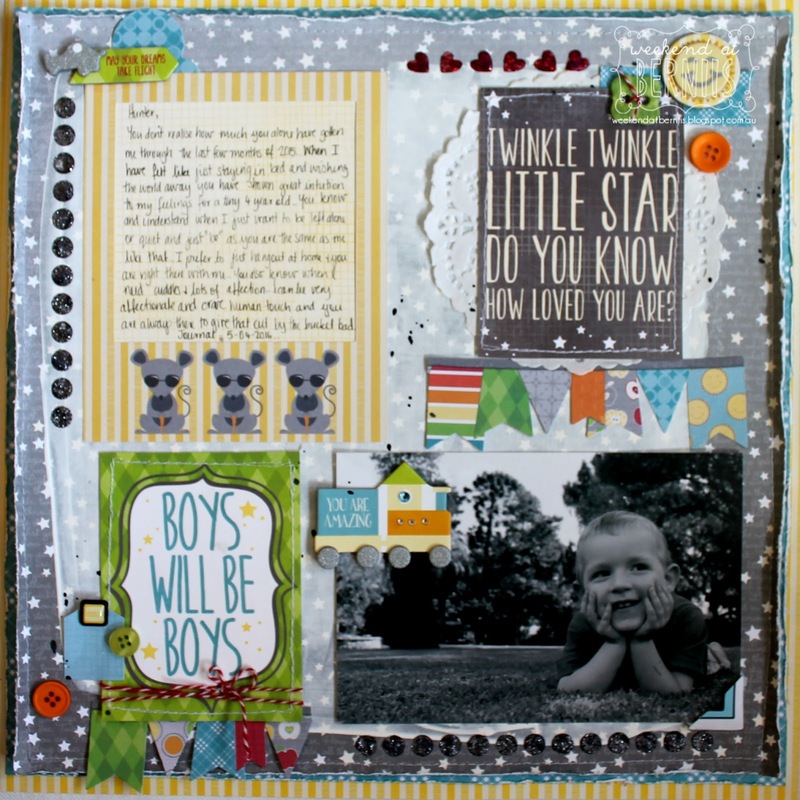 Patterned Paper: Pretend, Cheerful, Blocks, ABC /Toy Box. GLitter Paste: Graphite, Ruby Red. Stickable Stencil: Lots of Love.